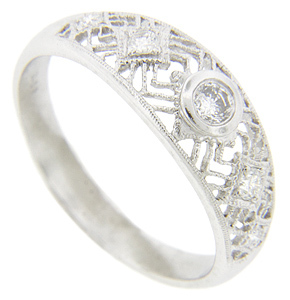 Antique style wedding band in platinum filigree and diamonds. The diamond total carat weight is approximately .40 carat and they are in bezel settings. It is 8mm wide and a size 11 1/4. It can be resized. 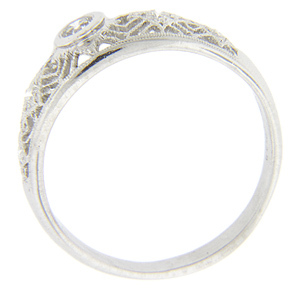 It's a very comfortable ring to wear!